Against a back-drop of "Tammy Baldwin for U.S. Senate 2012" icons and above the din of people milling around him, Sen. Al Franken doesn't mince words about what he wants from viewers of a low-budget fundraising pitch for his fellow Democrat from Wisconsin. "We all need to stand with Tammy Baldwin. She could really use your support today, and by support, of course, I mean your money," Franken says with the deadpan delivery of a seasoned comedian. "C'mon. Please? Please. Don't make me beg — because I will beg." Even though Franken is facing what's expected to be a tough re-election race in 2014, he's spending a lot of time helping other Democrats this election year, including Baldwin. Franken has given ample cash to candidates and parties, he's sent out fundraising e-mails on their behalf to his extensive mailing list, and he's been all over the country headlining their fundraisers. It doesn't look like Franken has to do much begging, either. Supporters regularly give thousands to a special account that allows Franken to raise cash for his campaign and other candidates simultaneously. And according to OpenSecrets.org, Franken has so far raised $2.8 million this election cycle for his own campaign, which puts him in the top fourth of all sitting Senators — and he's not even running this year. Franken's fundraising prowess has made him an important asset to the Democratic Senatorial Campaign Committee, which is in charge of raising money to elect Democrats to the U.S. Senate. "He is just a great advocate," said Washington Sen. Patty Murray, DSCC chairman this election cycle. "He speaks down to earth, people understand him, he's passionate and he really excites and energizes the base. And he likes to do it." Republican Party of Minnesota Chair Pat Shortridge offered an alternative take on Franken's fundraising strategy: Franken is going to need all the help he can get in 2014, and fundraising is one way to stockpile favors he can cash in two years from now. 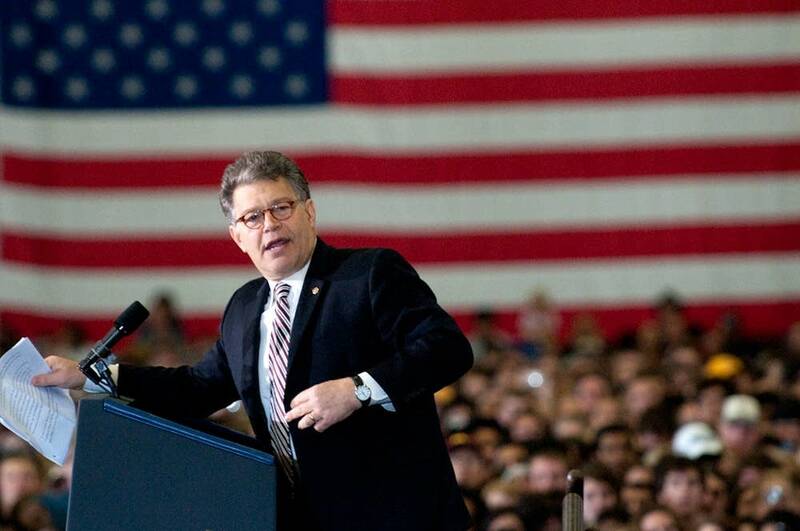 "Because of who he is and what he believes and the manner in which he was elected, Al Franken is going to be most vulnerable Democrat up for re-election in 2014," Shortridge said. "He makes no bones about what he believes and his enthusiastic support for what's being passed in Washington D.C., and he's going to have a really hard time. The fact that he's helped some other people and built relationships with other national liberals and national liberal donors is going to help him." Long before Franken announced his run for office in 2007, he was helping Minnesota candidates. Among them was state Sen. Scott Dibble, DFL-Minneapolis, who was running for re-election in 2006. Franken's fame as a former Saturday Night Live writer and actor, and his subsequent career as liberal writer and radio show host appeals to donors, Dibble said, but so do his politics. "I think Al Franken has always been very intelligent, policy oriented, well-researched, well-spoken," Dibble said. "So I think what was appealing about him then and now is the fact that sure he's a progressive, left-of-center, but the positions he takes are always extremely sensible, and he articulates them very, very well." At the time, Franken was also helping introduce little-known Democratic politicians to nationwide fundraising networks. One was Tim Walz, who in 2006 was running for Congress in Minnesota's 1st Congressional District. In addition to giving the Walz campaign money when it was broke, Franken put in a good word for Walz with the Democratic Congressional Campaign Committee, which helps elect Democrats to the U.S. House. "I actually called the DCCC and said, 'This guy is great!'" Franken said in an interview with MPR News. Brian Melendez, who was DFL Party chair from 2005 through 2011, said all that travel and all those fundraisers helped Franken build a network of goodwill among people who would eventually endorse Franken for his 2008 U.S. Senate run, help fund his campaign and help fund the lengthy, expensive recount against Republican Norm Coleman. It's the same strategy that will help Franken build a bank of favors for his race in 2014, Melendez said. "But that's not the whole picture," Melendez said. "I must have worked with 300 or 400 candidates when I was party chair for six years. Al Franken is one of the top 10 people who goes out of his way to do stuff for other candidates to help them, and most of the time without any hope of reciprocation." Franken made another crucial decision in 2005: he created the Midwest Values PAC, commonly called a leadership political action committee. Franken uses it to collect cash for other candidates and officeholders. Since the start of 2011, Franken has used the PAC to give nearly $385,000 to more than 40 candidates and parties across the nation from California to New York. Franken also operates the Franken MVPs account, which is meant to raise cash for his campaign and for the Midwest Values PAC at the same time. Such so-called joint fundraising accounts aren't unusual, but they do make things more efficient: Contributors write one check that's split between both committees, and it eliminates some of the awkwardness of asking donors for money twice. Many of the Franken MVPs donors are part of the celebrity comedy circuit Franken used to belong to, including Saturday Night Live creator Lorne Michaels, who gave $4,600 in 2011, "Family Guy" creator Seth MacFarlane who gave the maximum $10,000 last year, and liberal talk show host Bill Maher who gave the same amount. Some of that money is then shuttled into the Midwest Values PAC, which has received more than $266,000 since the start of 2011. Franken's extensive fundraising is padding his own re-election account as well. In addition to fundraising done specifically from his campaign account, Franken MVPs has raised more than $430,000 for his 2014 bid. Franken isn't just giving money away to other candidates. He's lending them his name, his time and his celebrity. In Minnesota, Franken has raised money for the Minnesotans United for All Families campaign, which is working to defeat a constitutional amendment that would define marriage as only between a man and a woman. He's given nearly $45,000 to the Minnesota DFL Party since the start of 2011, and he has hosted or attended fundraisers for Sen. Amy Klobuchar and the DFL. Franken's reach extends beyond state lines. "I'm trying to help keep the Senate [in Democratic hands] and help candidates who are working for middle class people, for working class people, who believe that our economy is strongest when the middle is doing well," Franken said, referring to his own middle-class upbringing in St. Louis Park. Among those candidates is Ohio Sen. Sherrod Brown, whose re-election bid has attracted spending from conservative groups looking to flip his seat. Fundraising e-mails Franken has sent out on behalf of Brown's campaign have helped Brown build his small dollar donor base in Ohio and out of the state, said Justin Barasky, Brown's campaign spokesman. The strategy is positioning Brown to match spending from outside groups. Barasky wouldn't say precisely how much Franken has helped raise, but he put it this way: "I'm sure our online fundraising spiked well above our average" the day Franken sent out an e-mail on Brown's behalf. Franken excels at fundraising because he has an ability to talk seriously about policy and politics, and interject a bit of humor at just the right time, said former Minnesota Congressman Gerry Sikorski. Take a recent fundraising e-mail Franken sent out for former U.S. Sen. Bob Kerrey, who is running again for Senate in Nebraska. "If I could pick the 99 people I serve with in the Senate, what characteristics would I want them to have? Well, I'd want them to be smart. I'd want them to have a keen understanding of the real issues working people face every day," Franken wrote in the e-mail. "And it wouldn't be the worst thing in the world if they'd bring in baked goods once in a while." Like the candidates he supports, Franken is particularly concerned about the increasing influence of massive amounts of money from wealthy donors on U.S. elections. As a chief proponent of a bill that would require outside groups, such as super PACs and non-profits, to say more about where their money is coming from, Franken has made the issue a cornerstone of his Senate career. Franken rejects the idea that his support for more disclosure conflicts with the substantial fundraising from wealthy donors he's done for himself and others. Some of his most generous donors are his friends and don't want anything from him in return, Franken said. "Just because we don't like the way the system goes, we can't just surrender and say 'I'm above raising money because it's against my principles so we'll just clobbered by the special interests,' " Franken said. "That doesn't make any sense whatsoever." While observers are quick to point out that all the fundraising Franken is doing now is helping him pad his own election account early, build relationships that will help him in 2014, and gain even more nationwide name recognition, Franken says he's more concerned about populating Congress with people who will support Democratic priorities like job creation, education, and health care. "I want to be able to do that in the next two years," Franken said. "That's why I'm fighting."